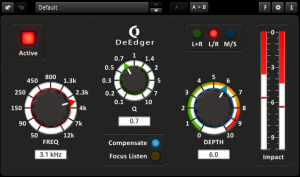 OD DeEdger by Tokyo Dawn Labs is a Virtual Effect Audio Plugin. It functions as a VST Plugin, an Audio Units Plugin and an AAX Plugin. The plugin operates in a threshold free manner, thus can comfortably handle any input signal level, type, and dynamic range. 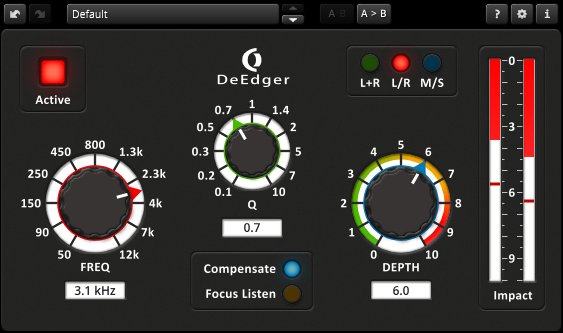 Where other plugins might under or over process, DeEdger only applies processing if any hardness is detected. Once detected, the hardness will be smoothed with remarkable elegance. After its initial setup, DeEdger can be left in a "set and forget" configuration without further attention. Control the hardness of audio material while preserving dynamic impact and musicality. Suitable for complex stereo material, including individual tracks and subgroups.